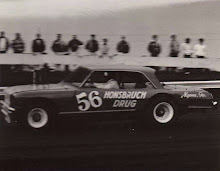 Kaukauna, Wis. (May 19, 1974) - Wisconsin International Raceway's four-race state championship series was launched in spectacular fashion here Sunday afternoon as Wausau's Larry Detjens wheeled his hemi-powered Dodge Challenger to victory before 4,253 persons. Detjens, who operates an auto body repair shop, passed two other racers on the final lap of the "Spring Opener 50". Detjens had to work his way through the 23-car starting field and it wasn't until the 48th lap when he moved into the top three positions. He slipped into third spot on the 48th lap, passing Rich Somers of Stevens Point. He then made his bid for the top spot but couldn't find enough room to get past Jim Sauter of Necedah and Mike Miller of New Prague, Minn., who had battled door-to-door for the lead for much of the distance. As the white flag was waved, signaling one lap remaining, the three racers zoomed past the standing crowd, three abreast, with Detjens on the outside. Detjens entered the first turn with a slight lead and pulled away down the back stretch. He won the event by one car length over Miller with Sauter placing third. 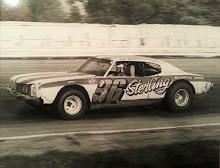 Miller, last years National Short Track Champion at Rockford, drove a 1970 Mustang while Sauter was behind the wheel of a 1973 Chevy Nova. 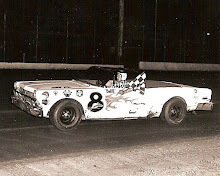 Somers finished fourth in a 1973 Mustang followed by Dave Watson of Beloit, winner of the "Red White and Blue State Championship at WIR last year, in a 1973 Joe Shear Camaro and Jim Pierson of Milton in a 1974 Camaro. 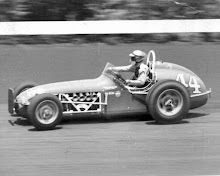 Al Schill of Franklin, the race leader for the first 10 laps, finished eighth. Sauter set the pace for two laps after gaining the lead from Schill. Miller took over the top spot for one lap before being re-passed by Sauter. Miller regained the lead on the 28th lap and remained in the front position until being passed by Detjens on the final lap. The race was yellow flagged by start Bill Krueger twice. The first caution flag was waved when top qualifier, John Reimer of Caledonia, blew the engine of his 1973 Camaro on the fourth lap. He was the leading qualifier among the 63 entries on hand to participate in the $55,000 racing program. 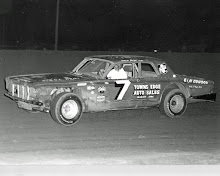 Another caution period was required on the 17th lap when Beloit's Dan Bellard spun in the first turn and was hit head-on by Don James of Bloomington, Minn. James was unable to continue. Mike Miller, New Prague, Minn.